I was at URBN Bar & Kitchen earlier this month, but no, I was not on high heels dancing and partying with friends. 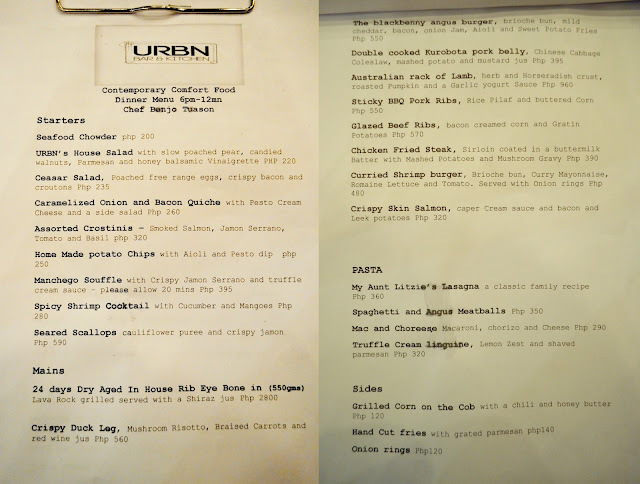 Instead, I was on my empty stomach ready to indulge in URBN's mouth-watering dishes with fellow foodies. That's a better bar scene don't you think? 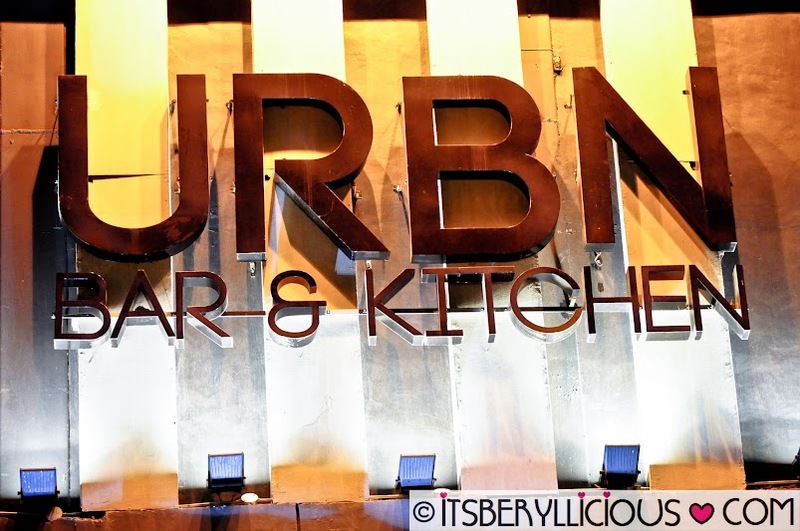 From the same owners of Relik Tapas Bar and Lounge, URBN Bar & Kitchen isn't all about clubbing and partying all night long. 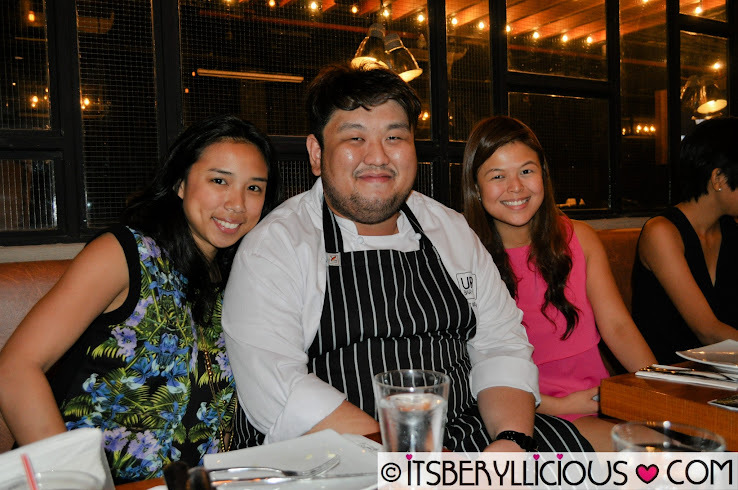 With a kitchen helmed by Chef Benjo Tuason, expect nothing but the best comfort food with a twist. 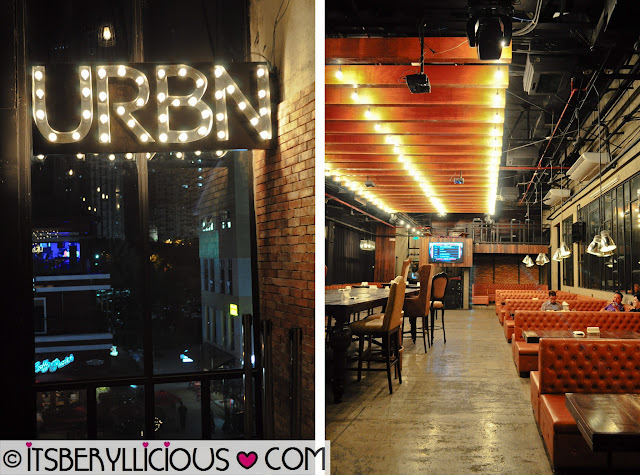 Just like in Relik, URBN has this separate section for dining customers and another for those who just want to party and have some drinks. The place has this modern industrial vibe with metal pipes and fans on the ceiling and huge chairs and tables at the center of the room. 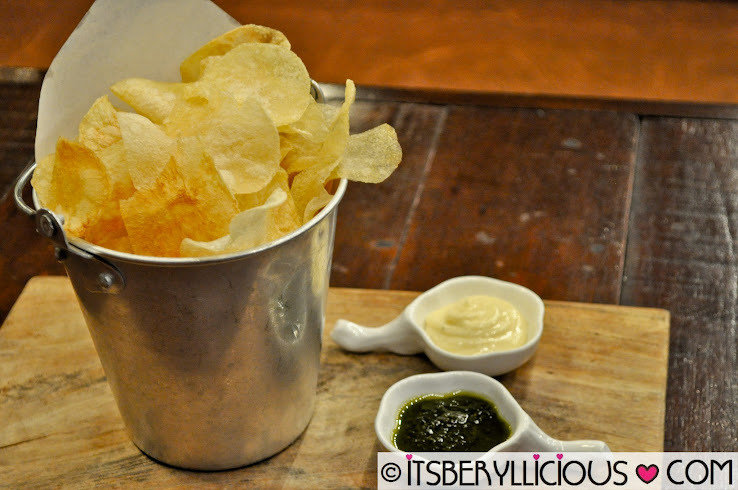 Now moving on with our food scene..
We were initially served with URBN's Home Made Potato Chips (P250) with aioli and pesto dip to have something to munch on while waiting for the night's food highlights. I must say that this is quite addicting! It was thin and crunchy just the way I like it, but I had to stop and control myself for the succeeding dishes. At first I thought this looked like whipped potatoes with cream sauce. 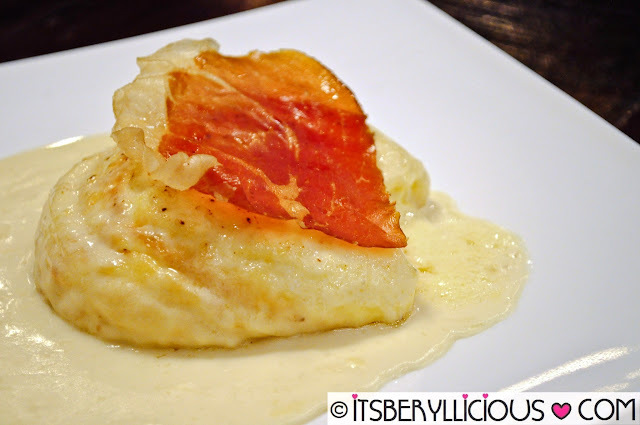 But it was actually a Double Baked Manchego Cheese Souffle with crispy jamon serrano and truffle cream sauce. Calling all cheese lovers, this cheese souffle is something worth trying out. 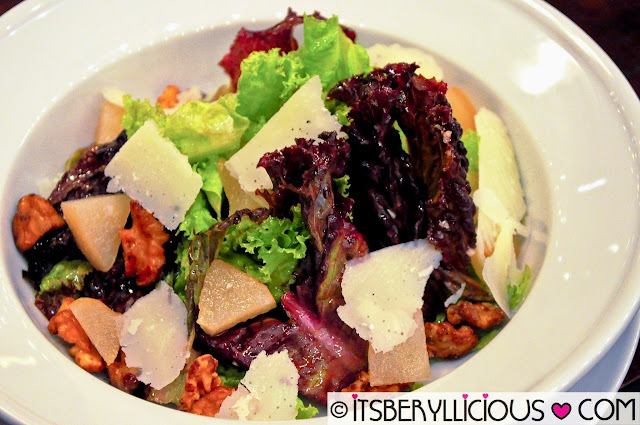 For those looking for something light and healthy, try URBN's House Salad of fresh greens, slow poached pear, candied walnuts and Parmesan shavings in honey balsamic vinaigrette. 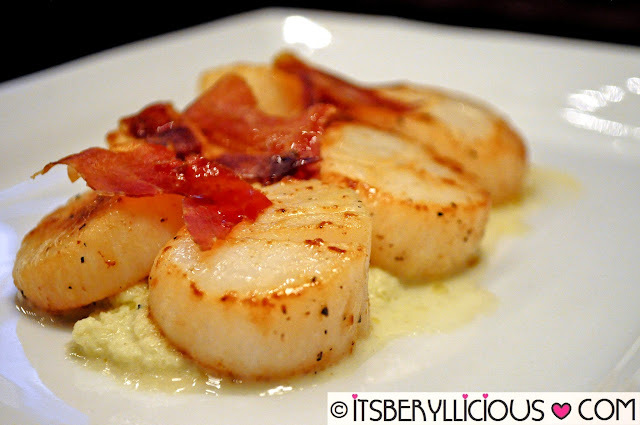 Expect nothing but top grade Seared Australian Scallops on a bed of cauliflower puree, topped with crispy jamon. Big, chunky, and juicy scallops that has a fresh sweet taste. A nice blend of sweet and spicy, this Spicy Shrimp Cocktail is definitely one appetizing dish with cucumber slices that adds a nice crunch and texture to every bite. 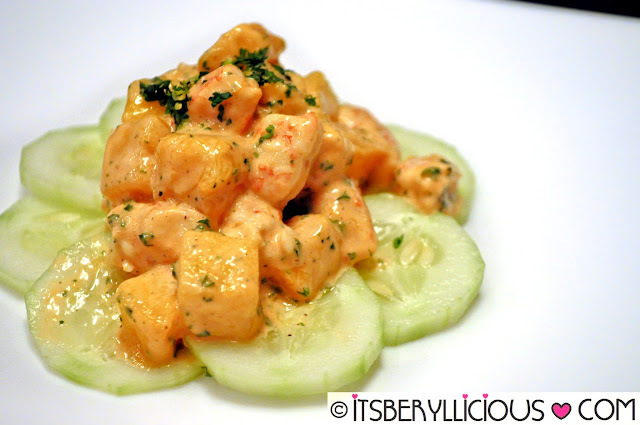 I love the sweet and creamy combination of the shrimp and mangoes followed by a subtle and tolerable kick of spice. It's funny how our table was initially ignoring this Chicken Fried Steak mainly because everyone thought it was "fried chicken steak". 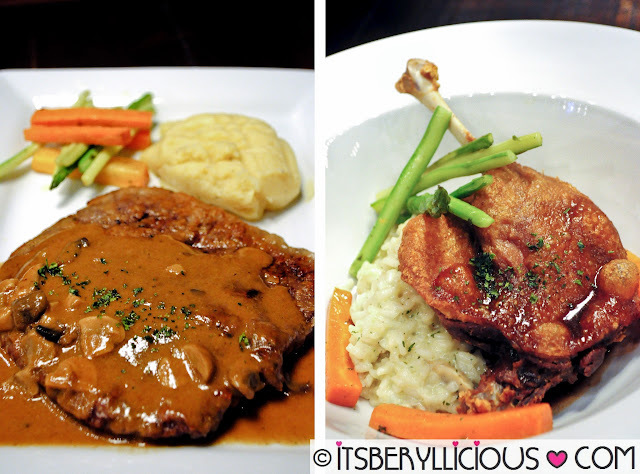 Imagine when Chef Benjo told us that it is actually beef sirloin coated in buttermilk batter, fried and smothered with mushroom gravy sauce. In fact, after he said that it was beef, everyone was getting themselves a slice and probably didn't hear how the dish was prepared and why it was called such. Another notable dish at URBN is their Crispy Duck Leg with mushroom risotto, braised carrots and red wine jus. The duck skin was very crispy and the meat was just so aromatic and tender. I also love the texture and consistency of the creamy mushroom risotto. 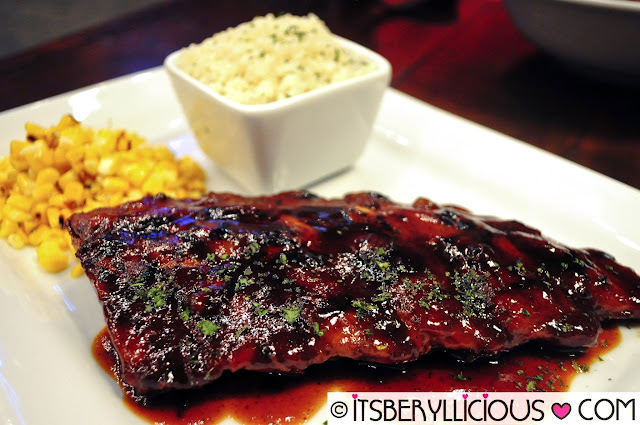 Aside from buffalo wings, I am a big fan of ribs especially the ones basted with sweet and savory barbecue sauce. URBN's version didn't disappoint as it was so tender and almost fall-off-the-bones. Not to mention, the barbecue sauce was smokey and sweet perfect to go along with the rice pilaf and butter sweet corn kernels. 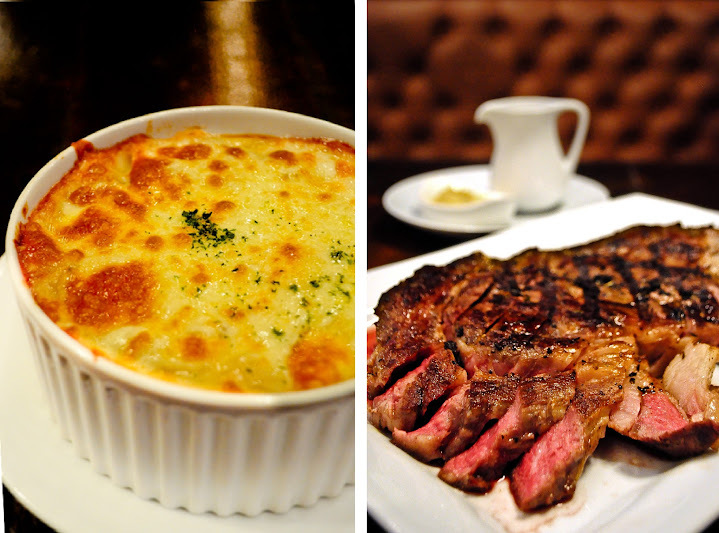 If you are looking for something heavy and filling then the Mac & Choreese is a must-try. A cheesy and creamy pasta dish with a unique twist of chorizo bits. 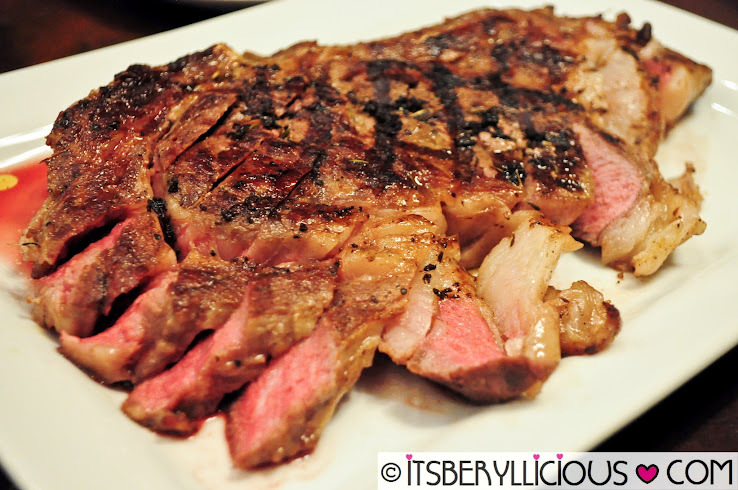 But our dinner highlight is URBN's Rib Eye Steak Dry Aged for 24 days in-house. Quite pricey but serving size was really huge and good for sharing. It was perfectly done medium rare to obtain the maximum tenderness and juiciness of the meat, and served with a Shiraz jus for an added flavor and taste. No words could explain how much I love URBN's Australian Rack of Lamb. It was cooked to perfection with herb and horseradish crust, served with roasted pumpkin and garlic yogurt sauce. This is probably my favorite dish that night and I'll definitely be back for this. 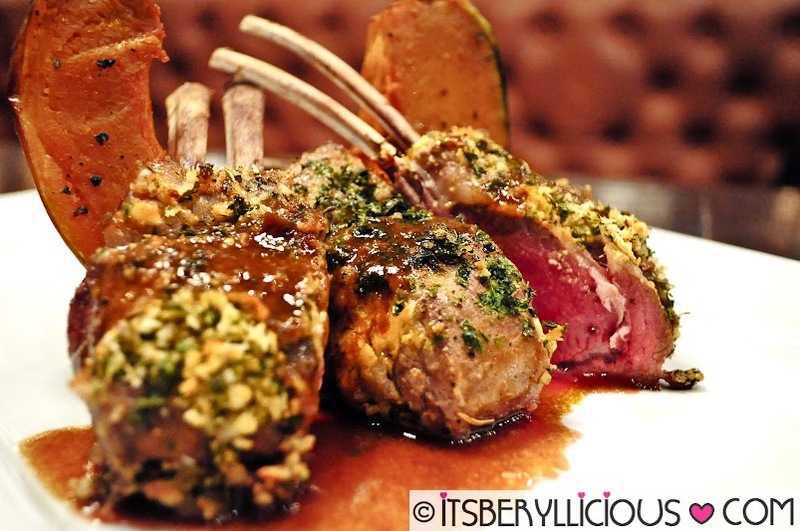 Tender, juicy and tasty without the strong gamey taste of lamb. A must-try!!! Aside from their scrumptious dishes, URBN Bar & Kitchen is also famous for their desserts. 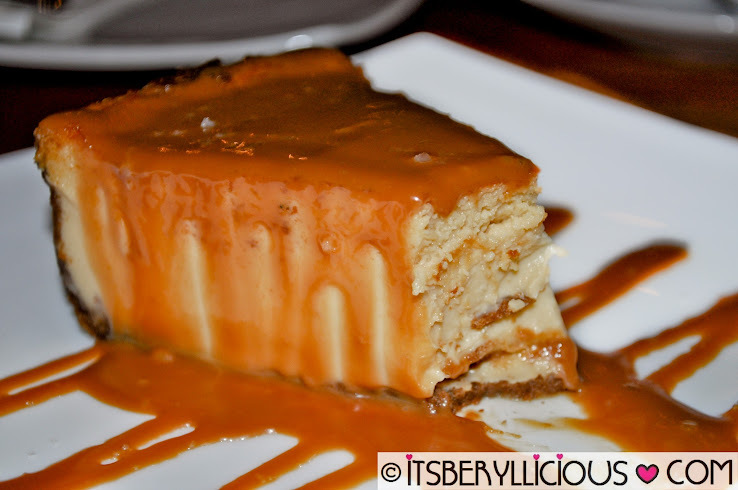 Since I am a cheesecake lover, I immediately feel in love with their Salted Caramel Cheesecake drizzled with caramel sauce. It has the perfect texture that melts in your mouth bite after bite. I just love everything about it. Make sure to drink up lots of water though as it could get a bit sweet along the way. One dessert that interests me so much is the classic souffle. Maybe because I can't help but wonder how a dessert made with simple ingredients be hard to perfect and master. All I know is that souffles should retain its fluffy, puffy and pillow like consistency and holds up even after leaving it for some time. 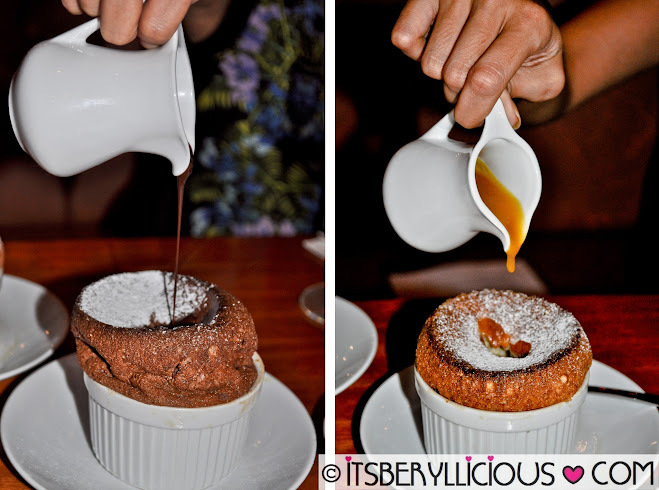 URBN's Classic Souffle was definitely perfect! It was soft, moist, airy and sinfully good! Over the two flavors, I liked the Mango Souffle better because it was light, fruity and refreshing at the same time. 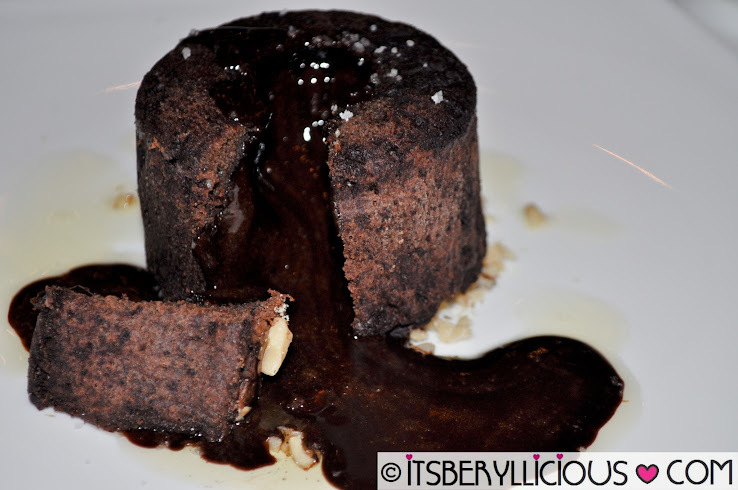 Although I am not much a fan of chocolate cakes, I love chocolate molten cakes. URBN's version is sprinkled with rock salt and olive oil (surprisingly a great combination) with rich warm chocolate filling oozing out from the cake. It wasn't as moist and gooey as my favorite lava cake from Kuppa but it was still a pretty good meal ender.